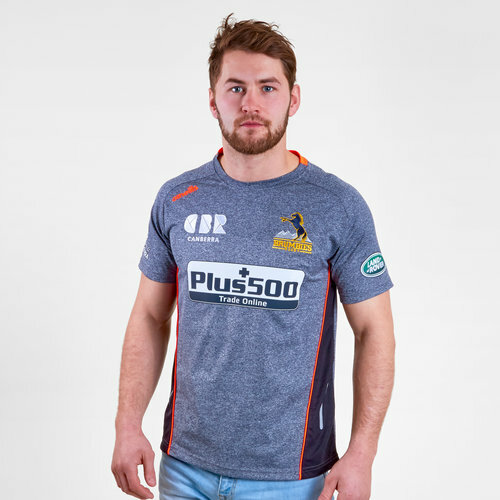 Cheer on the Canberra based side at the GIO Stadium or in training when you pull on this Brumbies 2019 Super Rugby Titan T-Shirt from O'Neills. Brumbies play their rugby in the Super Rugby league. They have enjoyed more success than all the other Australian teams combined, reaching six finals and winning two. In 2018 the team finished the season in 10th position overall so are looking to make 2019 more successful. The Brumbies traditional colours are navy blue, white and gold whilst the team is named after the wild horses which inhabit Canberra's hinterland. Brumbies kit manufacturer is the Irish International Sports Company O'Neills whilst their major sponsor is the international financial firm Plus500. 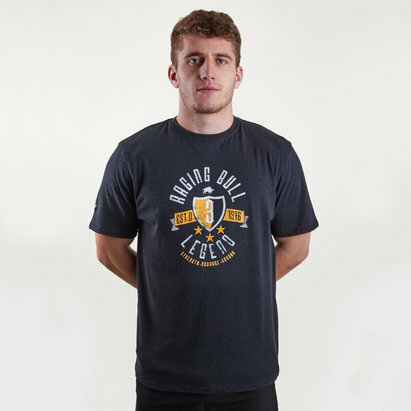 This tee is grey with navy and amber detailing like their traditional colour scheme. Ideal for wearing out and about this tee has been crafted with complete comfort in mind.